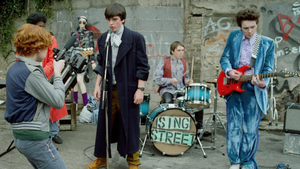 From director John Carney, the film takes us back to 1980s Dublin seen through the eyes of a 14-year-old boy named Conor (Ferdia Walsh-Peelo) who is looking for a break from a home strained by his parents' relationship and money troubles, while trying to adjust to his new inner-city public school where the kids are rough and the teachers are rougher. 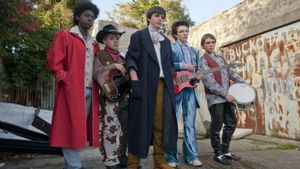 He finds a glimmer of hope in the mysterious, über-cool and beautiful Raphina (Lucy Boynton), and with the aim of winning her heart he invites her to star in his band's music videos. There's only one problem: he's not part of a band...yet. 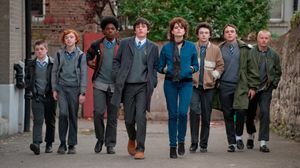 She agrees, and now Conor must deliver what he's promised - calling himself "Cosmo" and immersing himself in the vibrant rock music trends of the decade, he forms a band with a few lads, and the group pours their heart into writing lyrics and shooting videos. 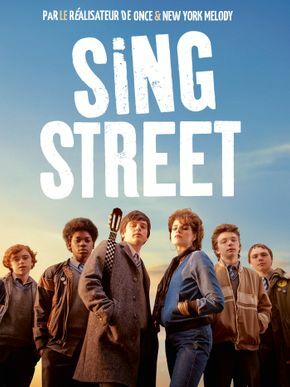 Inspired by writer/director John Carney's life and love for music, SING STREET shows us a world where music has the power to take us away from the turmoil of everyday life and transform us into something greater.